...in my last post I wrote: "I walked home and got another errand completed that to be honest I had completely forgotten about (that's for another post) so at least I got something done so far today. " Well, when I was walking home from the chiropractor, I decided to stop at the drug store so that I could see if they had some meds I would soon be running out of. When I walked in, I immediately saw an Easter egg display, and remembered that we were asked to bring eggs for the egg hunt at church. 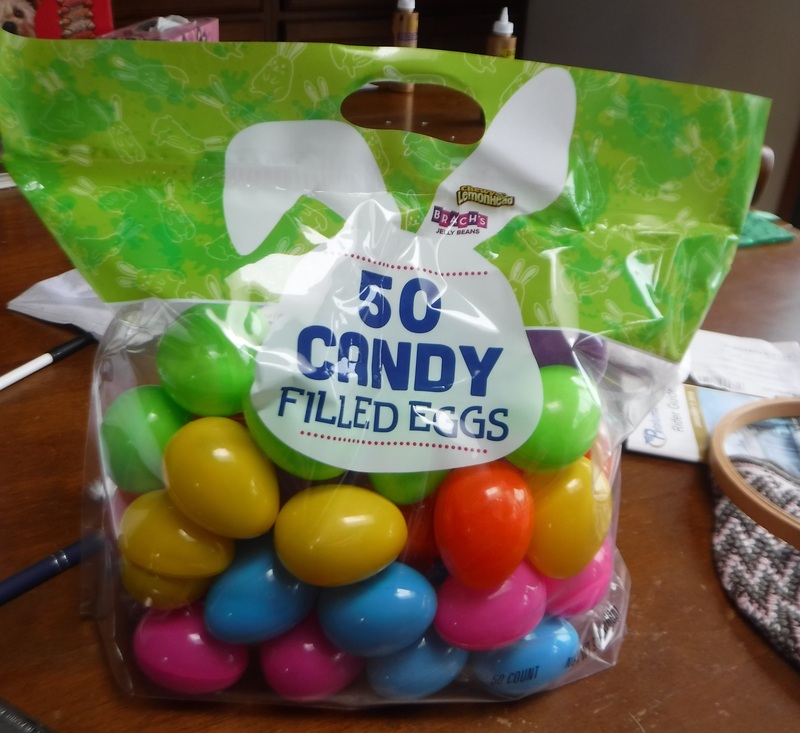 So, I grabbed a bag and thought I would get some candy to fill them, and then I saw a bag of pre-filled eggs and decided to get those instead. I'll give them to the lady in charge of the hunt when I go to church on Wednesday, so that will be done. So, I completed an errand that I actually had forgotten about--though I did forget until after I looked that this particular drug store chain didn't carry the OTC med I originally went there for... I'll have to get that somewhere else ! At least you remembered when you saw the eggs...not Sunday morning when you would have no way of supplying the need. What a cool idea, eggs already filled with candy.